Our heating and air conditioning units work day in and day out to keep our homes, apartments, and commercial establishments comfortable. In fact, we probably use these units more than we use our car – and our vehicles need regular maintenance, so why is the AC unit any different? Heating and air units are meant to control the quality of your air. They filter it for dust and dirt, and make the actual air cooler or warmer depending on your desired temperature. Over time, these units can get severely worn down. Sometimes they break down and force you to call the Charlotte AC repair company for some emergency repairs so that you can get back to your everyday tasks. However, other times the unit may seem like it’s working properly and it could be causing even more problems. If you’ve never had your Charlotte AC repair company clean your unit’s ducts, you may want to schedule an appointment as soon as possible. 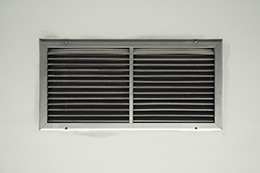 Stuffed air ducts can cause mold to grow, dust to pollute the air, and many other problems. Stuffy air ducts can cause severe allergies and can even contaminate the air with mold spores if there are any traces of it around the duct. By then, it’s already too late for regular maintenance – you’d need the Charlotte AC repair company to stop by and thoroughly clean your ducts. Just because you cannot see the pollutants does not mean they are not there. Make sure that you are breathing in clean air.